It quoted unnamed "Western officials with knowledge of the effort" as its sources. The powerful malware was discovered after the UN noticed data disappearing from PCs in the Middle East. The Post said the US National Security Agency, the CIA and Israel's military had collaborated on the project. It had "intended to slow Iran's nuclear program, reduce the pressure for a conventional military attack and extend the timetable for diplomacy and sanctions", the newspaper said. Reuters subsequently reported that current and former Western national security officials had told the news agency the US had been involved in making the virus. The BBC has been unable to confirm or disprove the allegations. 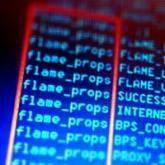 Flame is thought to have been first noticed when Iran's servers were taken offline in April following a malware attack on key oil terminals. A later report by anti-virus company Kaspersky Labs said there had been 189 attacks in Iran, 98 in Israel and Palestine, and 32 in Sudan. A "former high-ranking US intelligence official", who it said had spoken on the condition of anonymity, told the Washington Post: "[Flame] is about preparing the battlefield for another type of covert action. "Cyber-collection against the Iranian programme is way further down the road than this." Iran has said it is now able to defend itself against the malware and clean up infected PCs . But the attacks could lead the country to develop its own sophisticated cyber-capabilities, Mark Phillips, a research fellow at defence think tank the Royal United Services Institute (RUSI), told BBC News. "If it did originate from the US and/or Israel, Iran is going to feel under siege as a result of a number of attempts - a previous one was Stuxnet - and will seek to improve its cyber-defences," he said. "The better you are at detecting cyber-actions, the better you are at infiltrating others. "This cyber-onslaught that Iran has been facing from Stuxnet through to Flame is actually helping it to become a really serious cyber-power in its own right, which would not have been an intended effect of whoever developed Flame." Security experts call Flame one of the most complex threats ever seen, suggesting a nation state rather than individual hackers are likely to have been behind its development. "The reason [sources] may want to stay anonymous is because of the sensitive nature of technologies and capabilities involved," said Mr Phillips. "We're probably stuck with a situation where we'll only have this speculation for a foreseeable future." The Israeli embassy in London declined to comment.